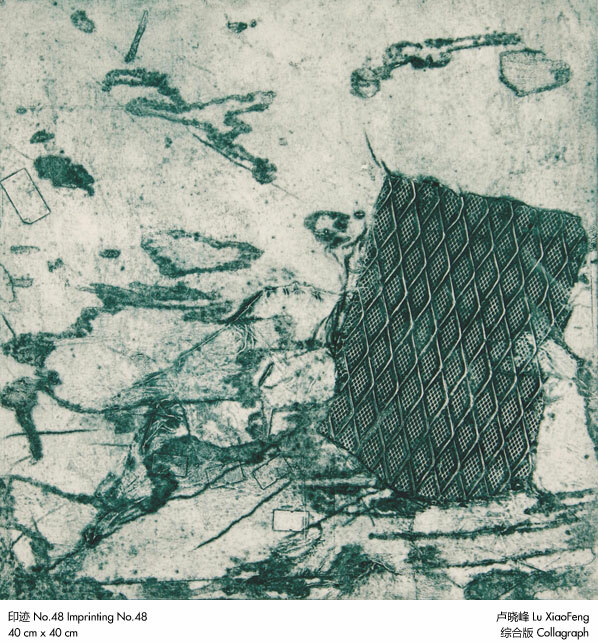 These artists bring new perspectives to the imprinting art form of engraving. 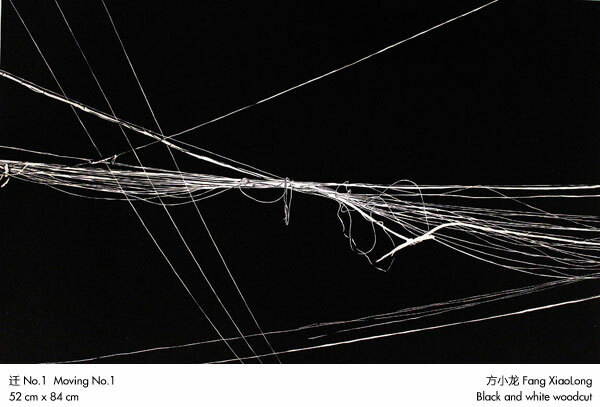 Their reflections on and attachments to the urban environment is portrayed in this exciting work. 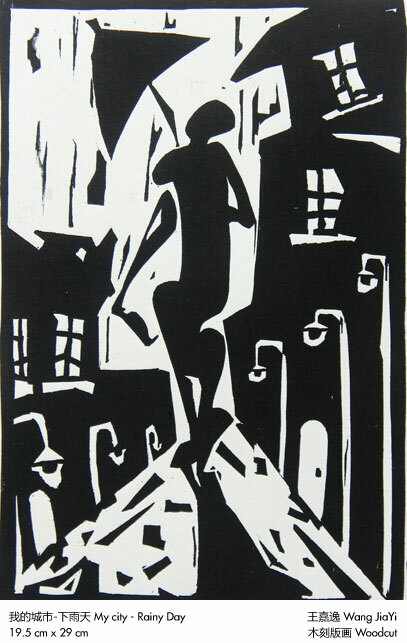 They convey how the city belongs to them and shapes them, just as they shape it. The work gives a personal yet universal perspective, as in each city every day every ordinary person lives a life that leaves behind their own imprint just as every city, in turn, imprints its own unique impressions on us. 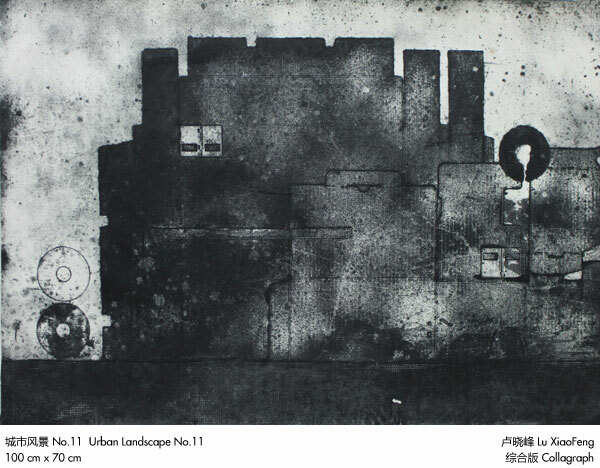 Lu Xiaofeng's urban landscapes regularly employs the color of dark gray. 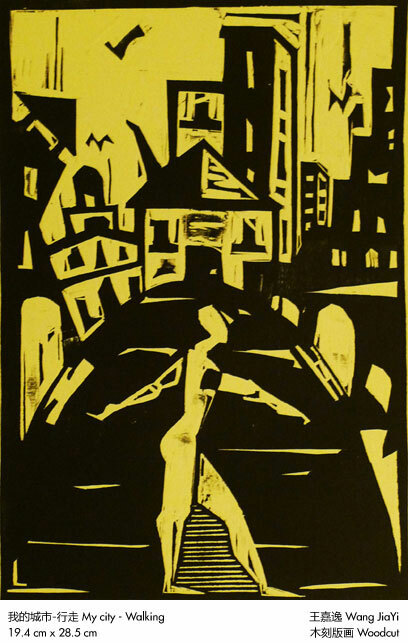 He makes use of wrapping paper, waste film, old cardboard boxes, etc., to form the content of his engraving, showing a geometric city expended under industrialization. His work is rational, advanced, civilized, powerful, indifferent, heavily polluted and injured; accordingly, this extends to the mood of people living in such cities - gray and with lack of sunshine. 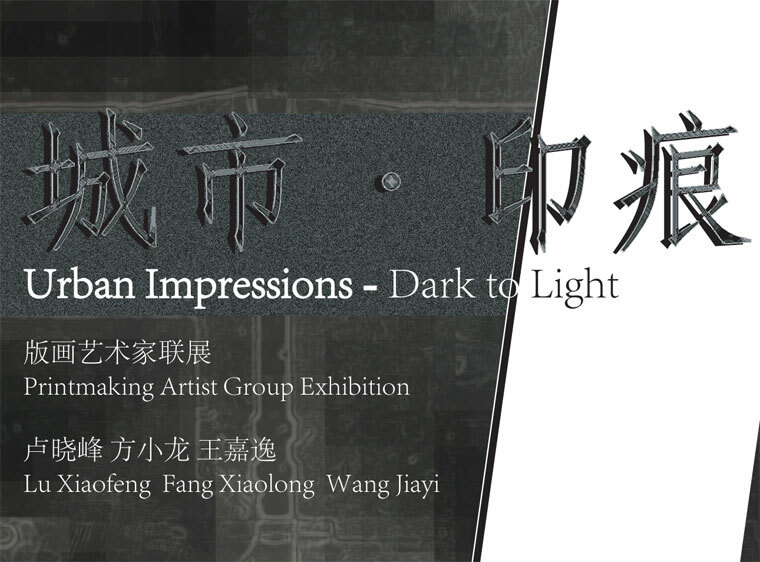 Fang Xiaolong's work, in contrast, is fresh and brisk in its deep reflection on the urban phenomenon. 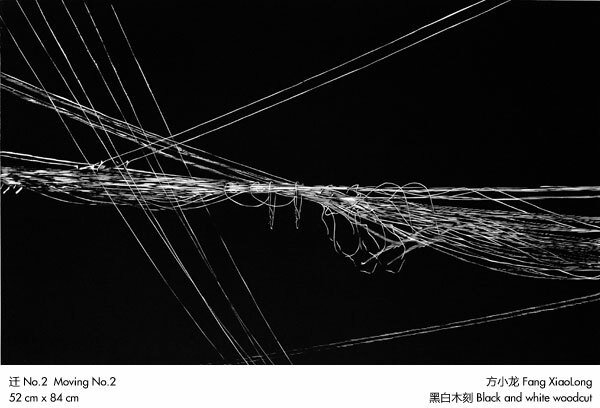 The selected topics include an airing series, electricity wire series, and environment-protection series, such as Helpless River. 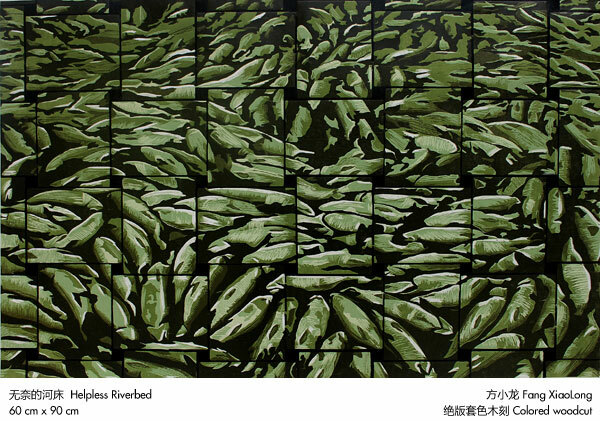 Here the artist employs an approach showing his attention and expectation for urban ecology to portray the malposed, dull river, which flows helplessly through its urban course. 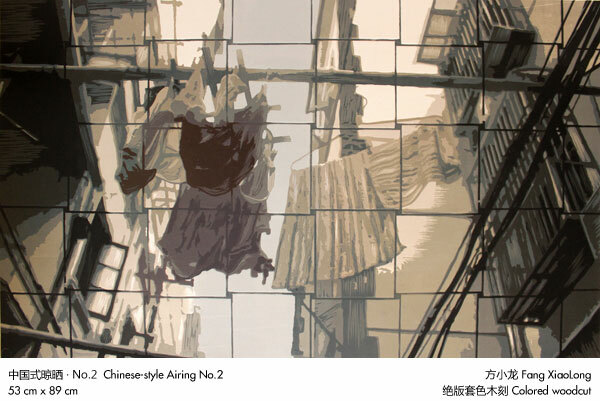 Wang Jiayi mixes people's mood together with urban background in his work. 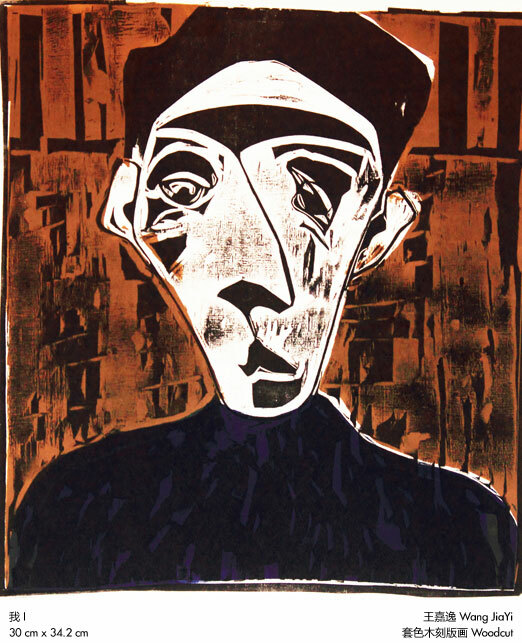 Hyperbolic characters and use of emotional color, coupled with the skillful use of paper-cuts in his engraving, shows intense dramatic effects. 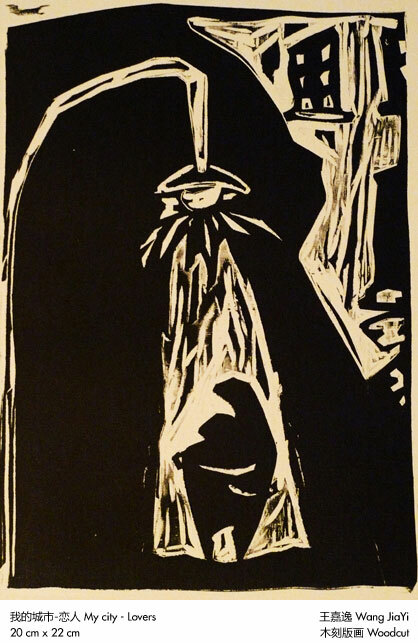 The visual impact of his work is not unlike listening to POP music. He expounds on his own mood in a storytelling mode and touching the audience by surprise. In this exhibition of the rough art of engraving, delicate feelings are contained, allowing audiences to follow the artists to experience the imprinting and impressions of different cities and marveling at the beauty of imprinting. 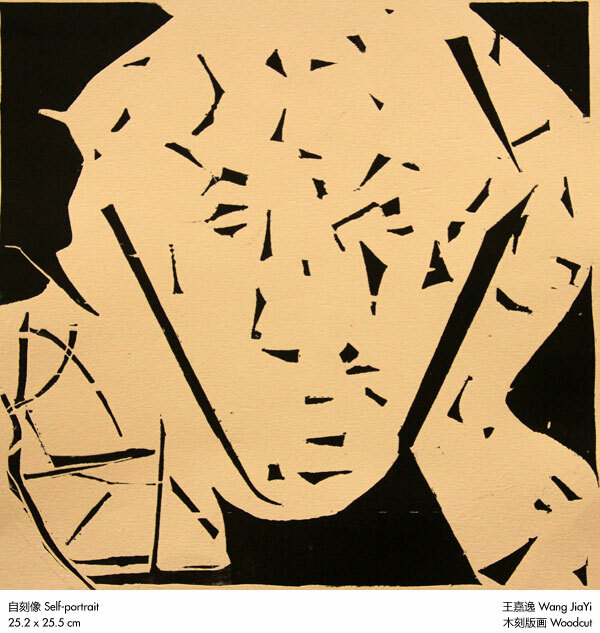 Selected works of "Shanghai Exhibition annual selection of prints", and Shanghai Library Manuscript Museum Collection Chinese cultural celebrities and incorporated into the "2012 Shanghai Printmaking"